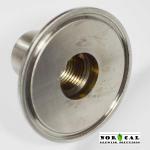 Attach two 1/2" NPT Male connecting items to each other through use of a 2 inch tri-clover master connection. 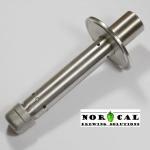 Allows NPT items to be connected INSIDE a conical fermenter, Sanke keg, etc. and connected to the outside world with a standard 1/2" NPT Male connection. 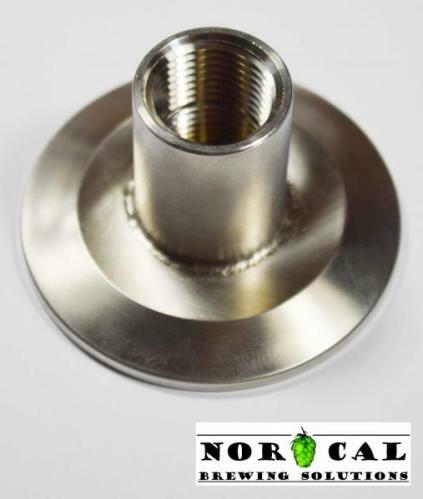 1/2" NPT Spray Head is for illustration purposes only – sold separately. Connected my Spike Brewing 5/8" center dip tube to my tri clover hardware. Everything I needed. Tri Clover - Clamp - 2"